Image credit: Chuttsnap. Amended by James Barclay. Everyone’s full of advice at the moment about how to navigate the perils of the digital age. Are you a “youth” looking to navigate the complex world of social media? Facebook have got you covered. Tired of getting scammed online? You better listen to the Home Office’s friendly Guvnor’s advice. Maybe you’re having a hard time spotting “fake news” — here’s the government’s furry green cyborg to illustrate the dangers. The proliferation of new public awareness campaigns around tech issues is symptomatic of the belief that media literacy will empower the public to control their digital lives and stem the harms which some technological innovations are creating. These outward-facing campaigns are being matched with a similar mushrooming of listening exercises by policymakers, trying to get the public’s views as they shape their responses to tech-related challenges. The Centre for Data Ethics and Innovation, for example, has been set up to lead a national conversation around the regulation of artificial intelligence. Public engagement will be a core part of UK Research and Innovation (UKRI) — the new national funding body for science and research, and the government has revived its Sciencewise programme to explore what the public think about the latest scientific and technological innovations. Doteveryone believes that every part of society needs to drive the change to responsible technology. We take a systems-change approach, working with policymakers, industry and the public. But for this system to work, we must ensure people are empowered, not overwhelmed. We want to understand what it would take to enable the public to demand responsible technology. 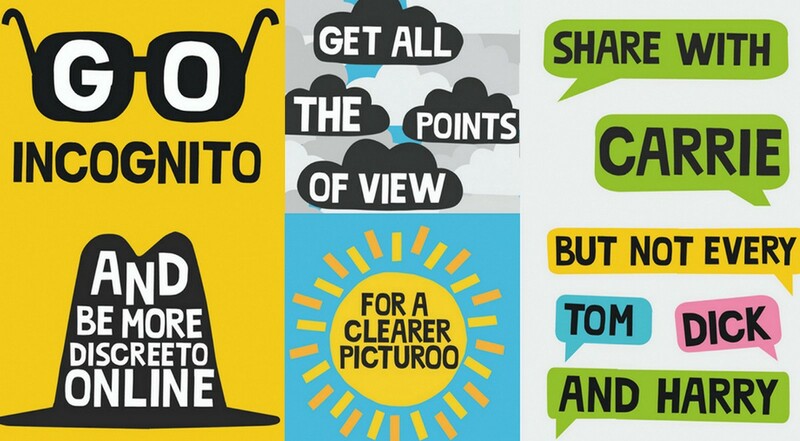 Last year, we experimented with a pilot digital health campaign — Be a Better Internetter. But do public awareness campaigns actually work? And how can we engage the public in the issues of technology, without placing all the burden on individuals to solve the problems created by bad products and services? 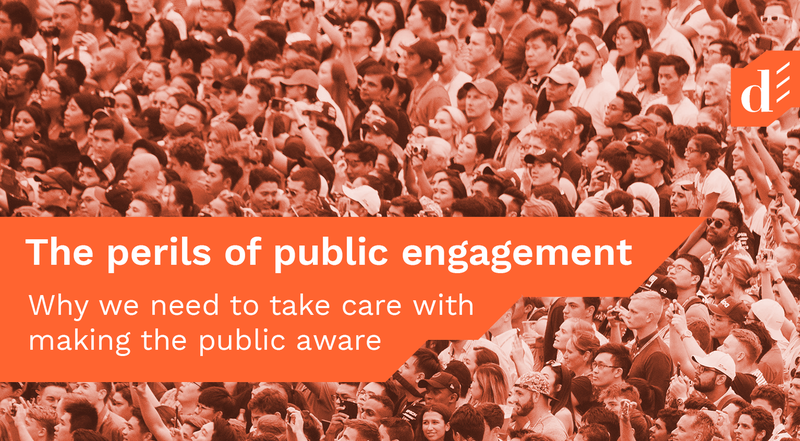 Here we outline some of the challenges facing public engagement in the digital age, which we’ll be exploring further in the course of this work. There’s an apparent consensus that public awareness campaigns have an inherent value. But Data & Society Founder, danah boyd, has called out what she sees as dogmas surrounding media literacy. In a keynote to the SXSW conference in March 2018, she questioned whether media literacy, often touted as the solution to the spread of online misinformation, is, in fact, exacerbating the problem by encouraging individuals to find their own truths at the expense of reason. In other fields, public education campaigns have been criticised for creating stigmas and leading to unintended consequences. The private sector-led, government-backed, Your Life campaign, has been criticised for placing unfair pressure on children by prizing attainment over development in schools. Anti-obesity campaigns have been associated with stigma around body size and “fat-shaming”. And remarkably, there’s very little evidence such public campaigns have an impact on real-world behaviours. Only 1% of public health campaigns evaluated by looking at behavioural, rather than attitudinal, change. For every seemingly successful campaign, such as the decade-long anti-smoking media drive contributing to smoking rates dropping from around 25% to 15%, there are failures in other areas, such as ineffective attempts to encourage people to switch to cheaper energy providers. Despite this, tech companies are jumping into public campaigns with enthusiasm (and budgets). Waymo’s Let’s Talk Self-Driving campaign aimed to familiarise people with autonomous vehicles, while Facebook’s fake news tool gives users a 14-point guide for spotting misinformation on their platform. Some have accused these campaigns of “empowerwashing” — co-opting a narrative of individual empowerment originally championed by the radical left to alleviate themselves of responsibility for tackling digital issues. Similar criticisms have been raised following the inclusion of an awareness campaign in the government’s Online Harms White Paper, with some cautioning against the expectation that parents should be primarily responsible for keeping their kids safe online. And policymakers looking to better involve the public in their work are also in a tricky position. Though public dialogue is needed to ensure tech policy is democratically legitimate, if not done properly it risks amounting to nothing more than tokenism. In the UK, backlash against genetically-modified crops in the early 2000s has been widely attributed in part to the government’s failure to understand the public’s anxieties and ethical red-lines around the provenance of their food. In the wake of this, policymakers have embraced “deliberative dialogues”, in attempts to gauge the public’s attitudes towards a wide range of ethically-challenging technologies from genomic medicine to self-driving cars. Some public authorities are looking to digital technologies to democratise decision-making. Taiwan’s Finance Ministry developed the vTaiwan discussion platform to help their citizens reach a consensus around controversial new laws for selling alcohol online. In 2016 Mexico City partnered with Change.org to crowdsource their new constitution. But with these new forms of digital participatory democracy still a long way from becoming the norm, the challenge is ensuring they don’t only empower people who are tech-savvy and already politically engaged. For responsible technology to become the new normal we must disrupt, not entrench, the status quo. The public must be at the heart of this movement. We just need to work out how.